UpGuard, the cyber security firm that discovered leaked voter data last month, is at it again, this time going after a Verizon partner that exposed up to 14 million accounts for the world to see. An ill-configured security setting on a cloud server led to having the subscriber data of millions of Verizon customers who phoned customer service in the last six months visible online without protection. The data includes phone numbers, names, and, more worryingly, PIN codes that give access to said accounts. 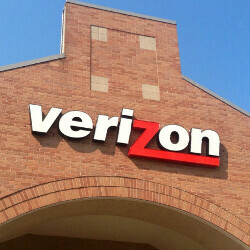 Verizon said that no ID theft has occurred because of the mishap, though it took it a week to close the loophole. The culprit is an Israeli company called Nice Systems, which counts many Fortune 100 companies as its clients in projects ranging from financial fraud to customer engagement and satisfaction. It said that it has created a demo system for Verizon as part of an ongoing customer service improvement project, and the raw subscriber data it collected from Verizon's callers was the one that ended up online in unsecured server. So, what should you do if you are a Verizon customer and worried your info might have been breached? Well, change your PIN or password for a start, make those hard to guess, and swap them more often for new ones, advise experts.